most commonly to U.K, Canada, Italy, Australia, France, Netherlands and Spain in that order. You can order using paypal using the links on the item description pages. If You do not have a paypal account, and you want to pay with a credit card, you can do so using the same paypal links, paypal will process your credit card without setting up an account with them. Prices: All prices shown on this website are discount prices offered to licensed amateur radio operators and other hobbyists, purchasing small quantites for personal use. Other buyers should contact us for a quotation before ordering. No 3rd Party Purchases: We do not allow 3rd party purchases, even for gifts. Individuals can only purchase kits for themselves, not as gifts or as a convenience for someone else. Support is only offered to the original purchaser. Anyone reselling our products must accept full responsibility for support and warranty. Paypal: In general we only accept orders for shipment to a confirmed paypal address in the same country as your paypal account. We may make exceptions for licensed amateur radio operators. Please email us first if you have an unusual situation. If you send us a payment that we cannot accept, be aware that paypal fees will be deducted from the refund. If we cannot accept your paypal payment, then you can pay using Western Union, and we will ship anywere, email for info. Multiple kit purchases: We do not recommend that anyone purchase more than one kit at a time. Buy one first, and make sure it is what you expect, then order the rest. 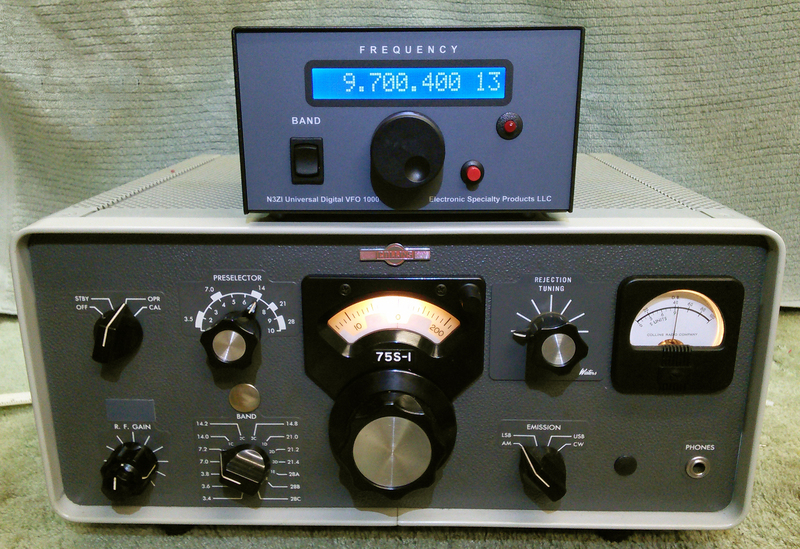 I do understand that many ham radio kits are sold in limited quantities, but not my kits. My kits are stocked and sold on a continuous basis. Returns: We will accept returns and give a cash refund (less S/H) for ONE kit per person if you contact us prior to returning the kit. Further returns are subject to restocking fees, and refunds are given as merchandise credit. Any returns received without prior authorization, or from the post office for any reason (such as unclaimed) will be subject to a 50% restocking fee. Support is available via email only, for the original purchaser of the kit, for 90 days from purchase. All transactions are conducted over the internet and US Mail. We do not take orders or provide support over the telephone. Spare Parts: We do not sell spare parts. Virtually everything in our kits is available from a wide variety of electronics distributors. We will sell only those parts that are absolutely not avaialable anywhere else, e.g. a programmed microprocessor, but only if you damaged yours in some way. We do not sell bare PCBs. If you need some help finding a source for a part contact us. You can order replacement micros from this page. PRICING: Prices change from time to time. When we get a good deal from a supplier, we pass it along in a price reduction. Of course no one can predict what lies in the future and prices may go up. SHIPPING & HANDLING We ship worldwide. S/H charges include packing, postage, insurance and paypal fees. When an order is placed through PayPal, total s/h charges are automatically calculated for whatever combination and quantity you order. The total is shown to you before you commit to the order. We also accept mail orders. We normally do not hold orders, nor do we have to wait for parts, everything is normally in stock so that you order is shipped (1-2 Weeks) after our receiving payment. An Email will be sent when your kit is shipped. EBAY: Some items are also sold through ebay. In general the total cost (item price plus S/H) will be higher on Ebay because of ebay's fees. Items sold on ebay may be an old version of items sold here. No firmware upgrades are offered for items sold on ebay.